We have developed our health foods and cosmetics business with a view to contributing to people’s health and beauty, and we also manufacture OTC drugs in the hope of supporting the healthy life of many more customers with pharmaceuticals. With the growing awareness of the importance of self-medication to prepare for the coming super-aging society, we see increasing needs for OTC drugs and cover a broad field relating to health and beauty, ranging from OTC drugs to health foods, FOSHU, Foods with Function Claims, cosmetics and quasi-drugs to fulfill the various needs of customers. Good health is a wish commonly shared by human kind. 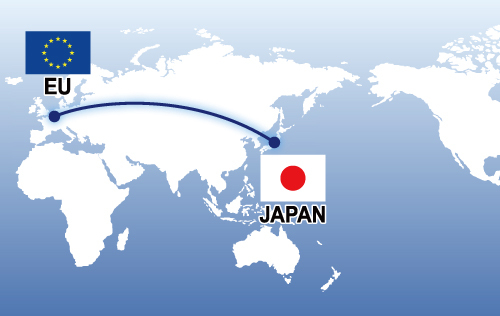 As we ride upon the waves of the borderless era, our business now extends beyond Japan toward the rest of the world. TOYO SHINYAKU has established a branch office in Frankfurt, Germany. We are working to widen our sales channels outside of Japan by actively challenging new strategies such as for branding license agreements and sales contracts. We believe our wish to create globally popular products is not just a dream. There are uncountable ancient folk remedies and undiscovered health ingredients all over the world. Also, there are many ingredients not yet introduced in Japan despite their effects having been proven through various research. Our activities include finding promising ingredients from masses of information and paving the way to commercialization for such ingredients by collecting data, checking the patents, and exchanging license contracts. These processes are hugely laborious; therefore, we have established an office in Frankfurt in Germany to proactively explore these new ingredients. Based on the selected information and considering its evidence and originality, we narrow down the potential ingredients that are to be developed for commercialization by TOYO SHINYAKU. There is yet another critical stage where Overseas Business Department’s expertise is required after selecting these materials. Clearing a number of hurdles such as full-fledged data collection on ingredients, investigation on patent’s existence or nonexistence, or license agreement with patent holders, we foster ingredients so that we can safely distribute them in Japan. The “FLAVANGENOL®” our self-developed material, has been created as TOYO SHINYAKU’s original material through a series of these processes. It also is our strong point that such tremendously effort-requiring processes can be operated solely by ourselves. In the meantime, the second and the third “FLAVANGENOL®” are on their way after another. 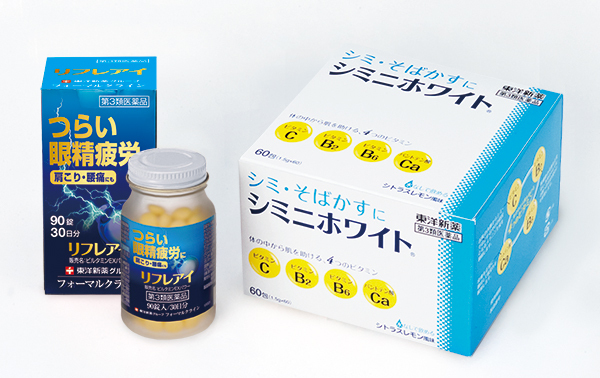 Note: “FLAVANGENOL” is a registered trademark of TOYO SHINYAKU Co., Ltd.
We also committed to the expansion of overseas distribution routes. To operate ODM & OEM internationally, we make contacts with foreign companies with different selling systems, and we are attempting new strategies including brand license agreement and sales agreement.